Abode New Homes is celebrating 15 years in the Territory with 3 new home & land packages in Zuccoli. Every business wants to be ‘that’ business. The business that gets talked about, not just for what they do, but for how they do it. At Abode New Homes it is all about you, so we would like you to relax and let us do the hard work! Our mission is to ensure you have a home you love, with the least amount of stress. We can help, whether you are building your first home, dream home or an investment. If you are looking to invest, we can guarantee you will only need to provide minimal input, if that is what you wish. All you need to do is tell us your price range, the area that you would like to invest in, and the type of home that will suit you. We will do all the leg work for you! We recently were selected to feature in Telstra’s Cloud Solutions, show-casing our use of innovative “be anywhere” technology. Check out the video-clip. Every business wants to be ‘that’ business. The business that gets talked about, not just for what they do, but for how they do it. Like ‘that’ project construction company, Abode New Homes, who can do business, both on-site and off. Accessing the same documents on different devices, by different employees, from different places. At Abode New Homes we have negotiated with conveyancers, developers, land sellers and suppliers to ensure that you have a simple and smooth process that is right for you. This is why we have won the HIA Northern Territory Professional Builder of the Year, every year since its inception, as well as the HIA Australian Small Builder of the year in 2017. Hence why we are considered Darwin’s Builder of Choice. So take your time to view our site and feel free to give us a call to simplify the process and get your home underway in no time. The Housing Industry Association recently awarded Abode New Homes “The Australian Small Builder of the Year for 2017” along with the “Territory’s Most Professional Small/Medium Builder” for the 9th year running, an accolade that has never been won by any other Northern Territory Builder. Abode New Homes has also won the “Telstra Business of the Year” as well as the “MYOB Small Business of the Year” making us one of the most awarded builders in the Northern Territory. 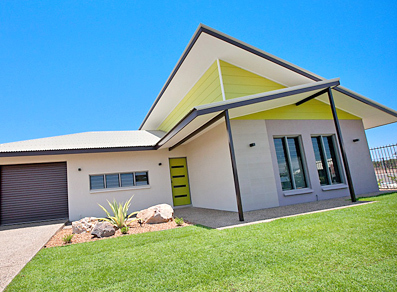 We have been building homes in Darwin since 2001 and have built in excess of 500 new homes. 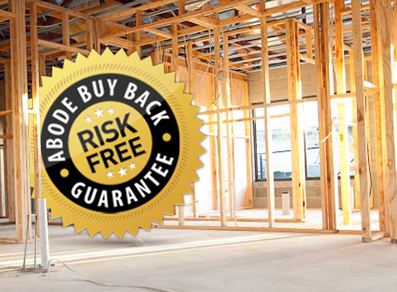 We are the only builder to offer a ‘Risk Free Guarantee’, meaning if you don’t like your home after you move in, we will buy it back from you no questions asked! Also, we believe so strongly in our system that we are the only Darwin Builder to offer a ‘Completion Guarantee’, meaning if we don’t complete your home within the agreed contract date, we will provide you with rent for each week we go over. 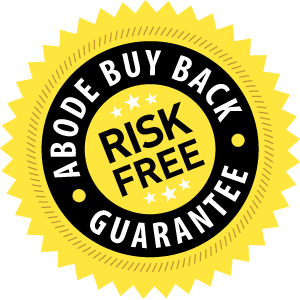 Abode Buy Back Guarantee. Call us for further details today or why not speak with one of our clients to ensure we deliver on our promises! We are the only residential builder in Darwin using ‘on site’ computer software & technology, which provides a series of Quality Assurance checklists & prompts for all areas of the business, from the point of deposit through to construction and the end of the 2 year maintenance period. This allows us to build a high volume of homes, in a timely fashion; with all the care and detail that we pride ourselves on. We standby our promise by offering a rent guarantee if we exceed the 24 week HIA build contract (conditions apply). We also offer our Buy Back Guarantee. 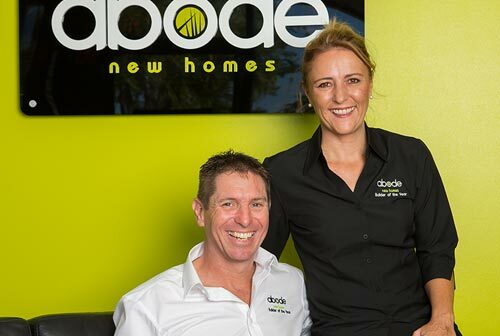 Abode New Homes is the most respected builder in Darwin with over 40 Industry Awards. All of our homes are designed in the Territory for the NT climate. 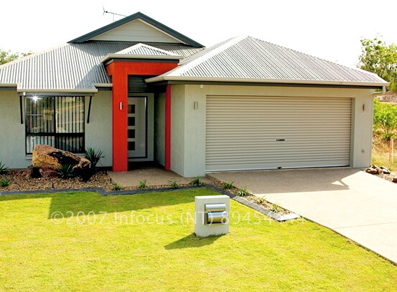 We specialise in House & Land Packages in all areas surrounding Darwin. 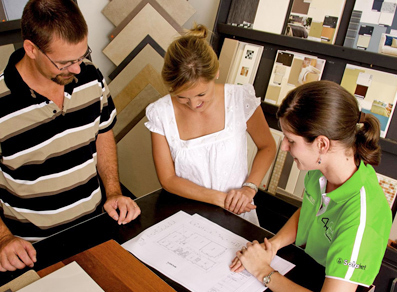 Our designs are suited to everyone from first home buyers to Investors to those seeking a dream home. Many of our designs are featured on our website, however we encourage you to visit our display home to view our ever evolving range.